Heroes, Heroines, and History: Christmas without Christmas Cookies? Bah humbug! Christmas without Christmas Cookies? Bah humbug! Debbie Lynne here again! Merry Christmas! Sometimes I get in this mindset where I feel like something has always been. Christmas cookies are one of those things. I mean can you imagine Christmas with out candy cane sugar cookies or gingerbread men all decked out with frosting? Christmas cookies can be traced all the way back to Medieval times. Cookie origins comes from Medieval Europe biscuits. Lebkuchen, also known as gingerbread, was probably the first cookie to be traditionally related with Christmas. By the 1500's cookies had spread across all of Europe. Different cookies were popular according to geographics. Germany favored Lebkuchen, while papparkakor (spicy ginger and black-pepper delights) was popular in Sweden and krumkake (thin lemon and cardamom-scented wafers) was the preferred cookie in Norway. 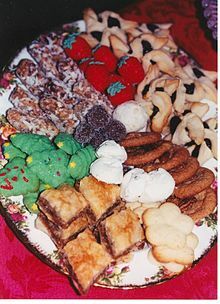 The Dutch are attributed with bringing the Christmas cookie to United States early in the 17th century. But when did those cute little gingerbread men, candy canes, and Christmas tree cookies come around? In the late 1800's to early 1900's when import laws changed, Germany began importing inexpensive products, such as cookie cutters, to the United States. 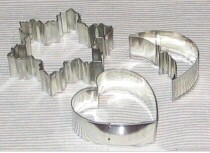 Different from homemade types and the tinsmith's wares, these cutters were highly stylized images. They were originally sold to hang on Christmas trees, but because of their availability cookbooks began adding recipes designed to use them. I thought I'd leave with you a simple, but yummy shortbread cookie since my family tree has been traced back to Medieval Scotland. Here is the Scottish Shortbread recipe. Enjoy! Put into cake pans or a small jelly roll pan and press down with your hands to 1/2". With a fork, prick all over making sure the fork hits the bottom of the pan. Bake for 10 minutes at 350. Reduce the heat to 300 and continue cooking for 40 more minutes (or until lightly brown. Do NOT overcook). Wait 2 minutes then cut into finger size bars. Cool thoroughly in pan. Debbie Lynne Costello is represented by Tamela Hancock Murray of the Steve Laube Agency. She attended Heritage University, where she studied Journalism and worked in the editing department. 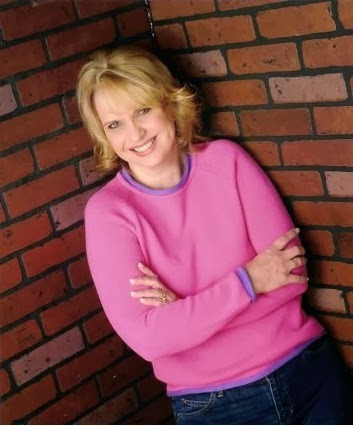 She has completed five full length novels set in the Charleston, SC and Savannah, GA area in the late 19th century and is now seeking homes for them. She and her husband have four children. They live in upstate South Carolina with their family. In her spare time, she sews, paints, knits, camps (in a fifth wheel) and plays with the grandbabies. What I want to know is: did you bake all those lovely cookies in the photos? :) I used to do a lot of baking, but don't anymore. I do, however, still make butter cookies in the shape of Christmas trees and sand tarts, because they are family favorites. Yum! Love a good butter shortbread cookie! LOL! No I did not get to bake this year. But I did receive a beautiful tray of cookies with about 10 varieties on it from my sister, nieces, and mother. They got together and spent a full day baking then made me a tray. I usually do try to make Russian tea cakes but this year I didn't even manage to do that! I'm sure the tray of cookies had something to do with it.